This first dress is from a while ago - oops. I have some back log to try to get through. 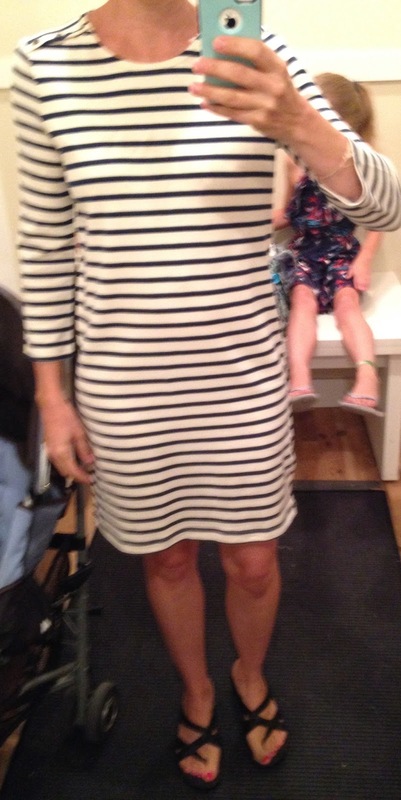 Madewell and I are either totally simpatico or mortal enemies. They have really gotten into the cropped oversized swingy stuff and as a girl who is well-endowed - I have to say no to that. Nonetheless, I am always drawn to their cool-girl chic vibe and sometimes they just hit it out of the park. In the immortal words of mean girls, "Gretchen, stop trying to make fetch happen!" That's how I feel about this style of dress. I keep on trying and trying because I am so drawn to the groovy vibe and the embroidery and the easy summery-ness of it all. 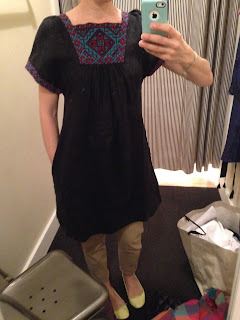 This one reminds me of the Embroidered silk colorstitch dress (review below). 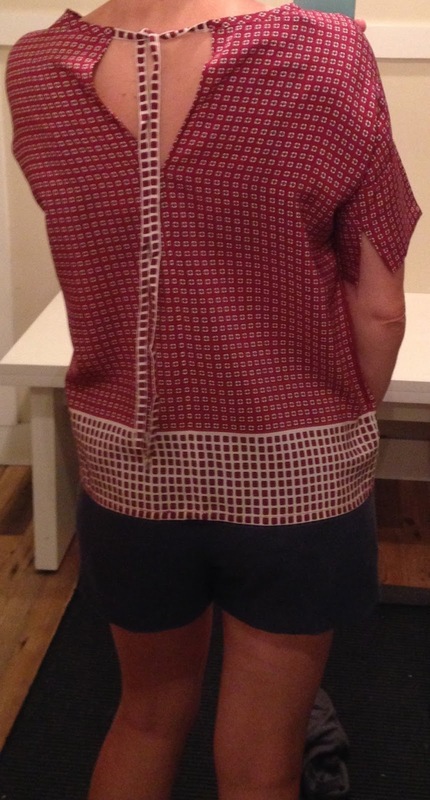 The panel in the front and the trim on the sleeves was lovely and the fit through the body was actually not bad either. It was the poufy sleeves that got me. And the girls don't look their best when there is pleating right at the top of them. If you are on the more petite side up top I think this could be a winner. Again, obsessed. Just perfect in all ways and I will also be waiting for sale on this one. 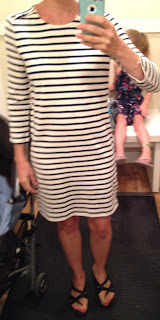 I waited patiently for the Striped Vacances Dress to go on sale and schlepped into the store the moment it did - paid off because online there was no percent off and in store there was 30% + 20% educator discount. Woo woo! Truth be told these tees get holes in the front of them. Other truth is that I keep on buying them because they are so flattering and the colors are awesome. The XS felt slightly big although you can always shrink it a bit in the washer. LOVE this color and I like the fit better in the XXS. I also get the t-shirt version of this in XXS. Have many of them and they are my go-to's in the summer. Feel somehow cool and drapey enough to look good without being sloppy. I saw this on a mannequin and loved it. I didn't realize it had that peplum because they did the half tuck. The colors are a bit more exciting IRL, in a good way. 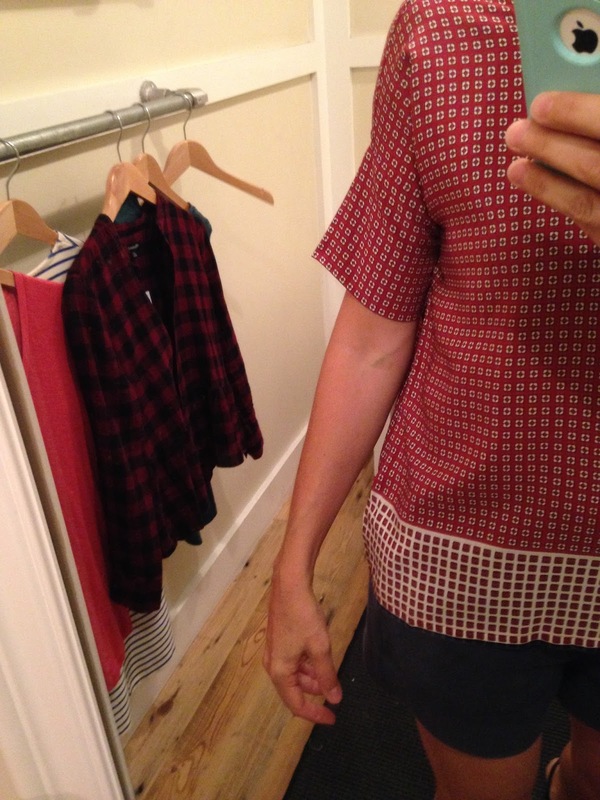 Fits basically TTS/slightly small. 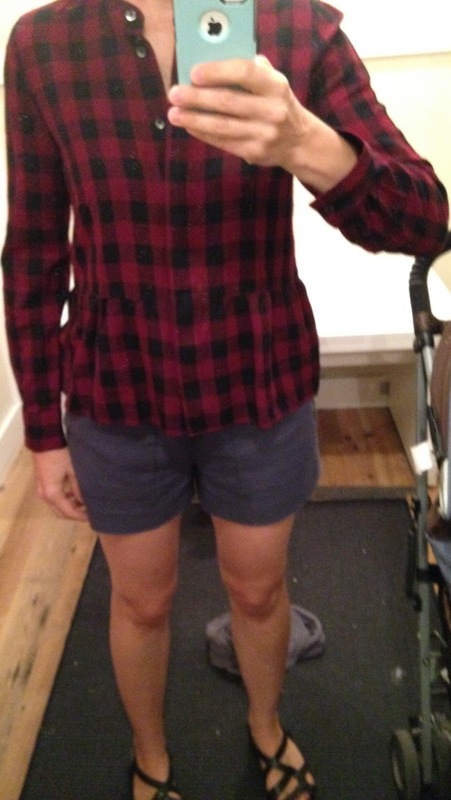 Just too cropped on even 5'4" me. Prefer their ex-boyfriend shirts and am trying not to bite the bullet on this one yet. I love a little easy silk tee and the tie detail at the neck makes it special. Two complaints: I'm pretty sure this was the XXS and it was huge (although it may have been the XS) AND the sleeve was weird. I don't if you can tell in the last pick but the seam that joins the drop shoulder to the cuff doesn't lay right. It's not straight, it sort of bubbles. Hard to explain but it bothered me. Here's another attempt at embroidered flounceville. Mildly successful. 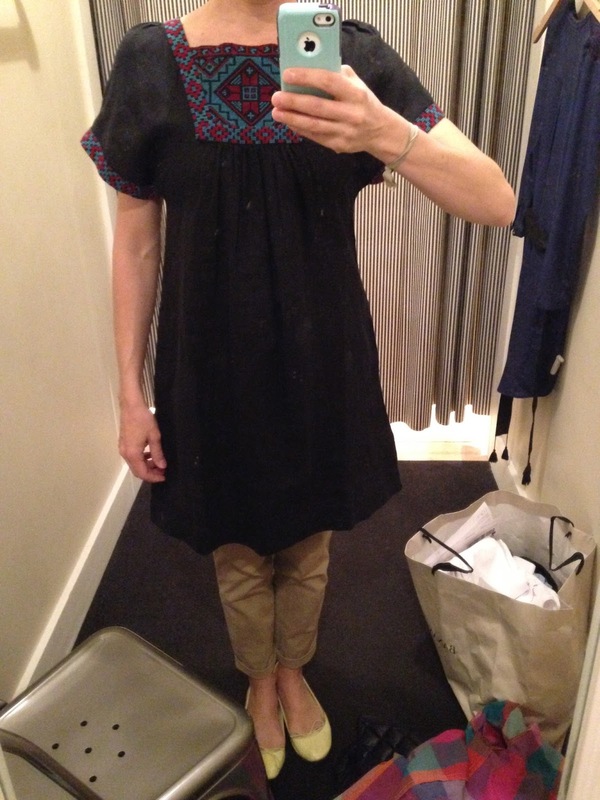 Again, pleating right at the bustline is not great for me but would be adorable on the smaller chested. The embroidered is lovely, the vee flattering, the silk comfortable. The chest/shoulder area seemed to run slightly smaller than some of Madewell's dresses. I'm looking forward to going and trying some more thing on soon. Plan my fall spending! What do you have your eye on?